On December 14, 1799, George Washington died at his home after a brief illness and after losing about 40 percent of his blood. So what killed the 67-year-old former President? Modern medical experts are focused on several likely reasons for why Washington fell ill and died in a 21-hour period. But the illness as diagnosed by his physicians isn’t one of those likely causes of death. And it was the same group of physicians that let massive amounts of Washington’s blood in an attempt to cure him. What is known is this, based on contemporary accounts, including those of Tobias Lear, Washington’s secretary. Two days earlier, an apparently healthy Washington rode around his estate at Mount Vernon on a cold, miserable day. According to Lear, Washington decided to stay in his wet clothes so he could be on time for dinner. Over night, Washington woke his wife Martha to say he was feeling very sick, and that he could hardly breathe or talk on his own. The former President asked his overseer, Albin Rawlins, to bleed him. Doctors then arrived and bled him four more times over the next eight hours, with a total blood loss of 40 percent. Washington also gargled with a mixture of molasses, vinegar and butter; he inhaled a steam of vinegar and hot water; and his throat also was swabbed with a salve and a preparation of dried beetles. An enema was also used. By late afternoon, Washington knew he was dying and asked for his will. Since Washington’s death in 1799, medical practitioners have tried to ascertain what killed the former President so quickly. 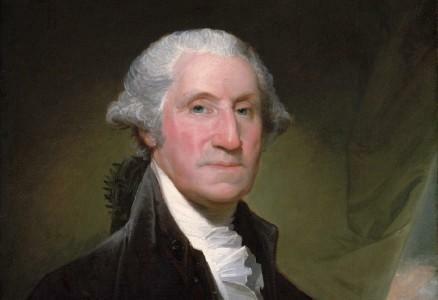 At the time, Washington’s doctors considered four possible reasons for his demise, and the consensus was cynanche trachealis, also known as the croup, an inflammation of the glottis, larynx or upper part of the trachea that obstructed Washington’s airway. But in recent years, a different theory emerged. Dr. Howard Markel, writing for PBS.com last year, summarized the findings, citing research from Dr. David Morens in the New England Journal of Medicine. “In the 215 years since Washington died, several retrospective diagnoses have been offered ranging from croup, quinsy, Ludwig’s angina, Vincent’s angina, diphtheria, and streptococcal throat infection to acute pneumonia. But Dr. Morens’s suggestion of acute bacterial epiglottitis seems most likely,” said Markel. Not everyone agrees with that theory, with inflammatory quinsy, or a peritonsillar abscess, as another possible killer. “However none of these diagnoses quite fit the description of Washington’s terminal illness but on the other hand acute epiglottitis does explain all of his symptoms and his demise. His illness is a classic ‘textbook’ case of acute epiglottitis,” wrote Dr. White McKenzie Wallenborn, for the University of Virginia back in 1997. Another debate has centered on the massive blood letting and the ignored suggestion of a tracheotomy as possible main contributors to Washington’s death. Morens said back in 1999 that the bloodletting likely didn’t kill a man of Washington’s size, and the little-used tracheotomy was only occasionally successful. “The truth of the matter is that they did the best they could, against a pathologically implacable foe, using now antiquated and discredited theories of medical practice,” Markel said.